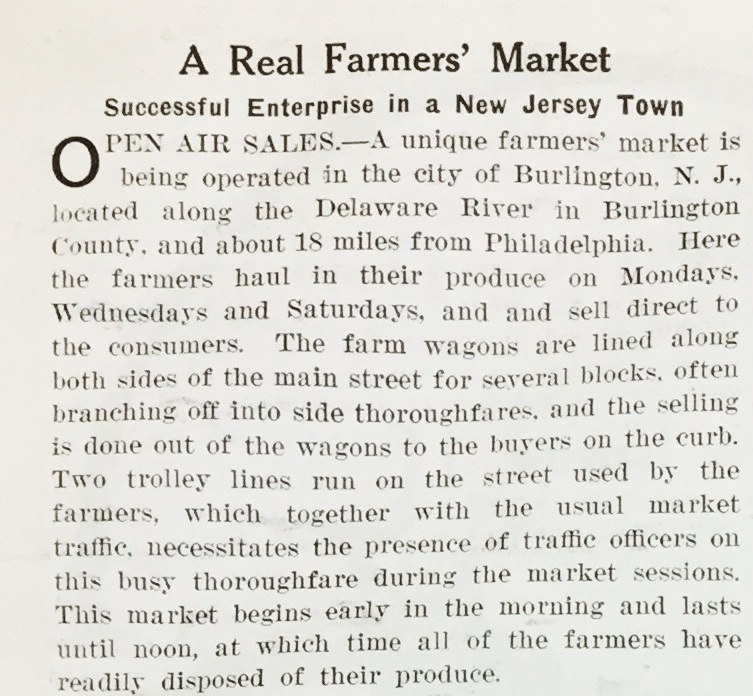 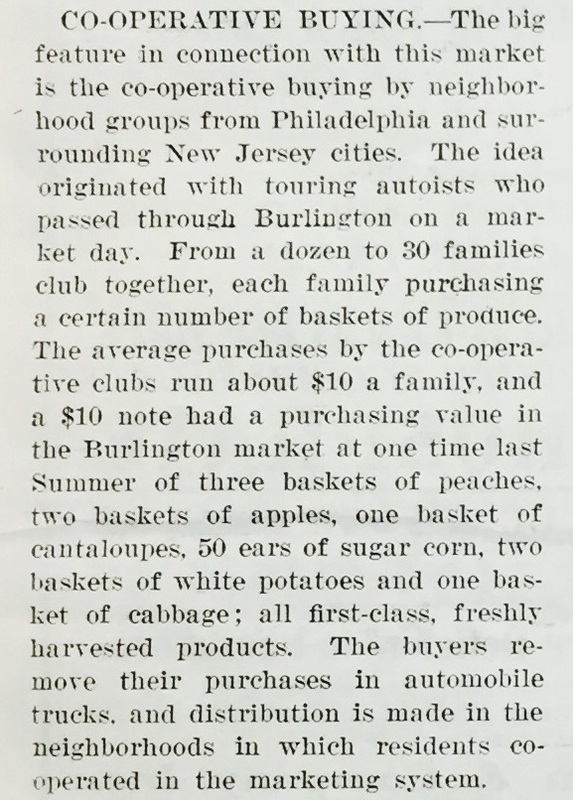 OPEN AIR SALES.- A unique farmers’ market is being operated in the city of Burlington, N.J., located along the Delaware River in Burlington County, and about 18 miles from Philadelphia. 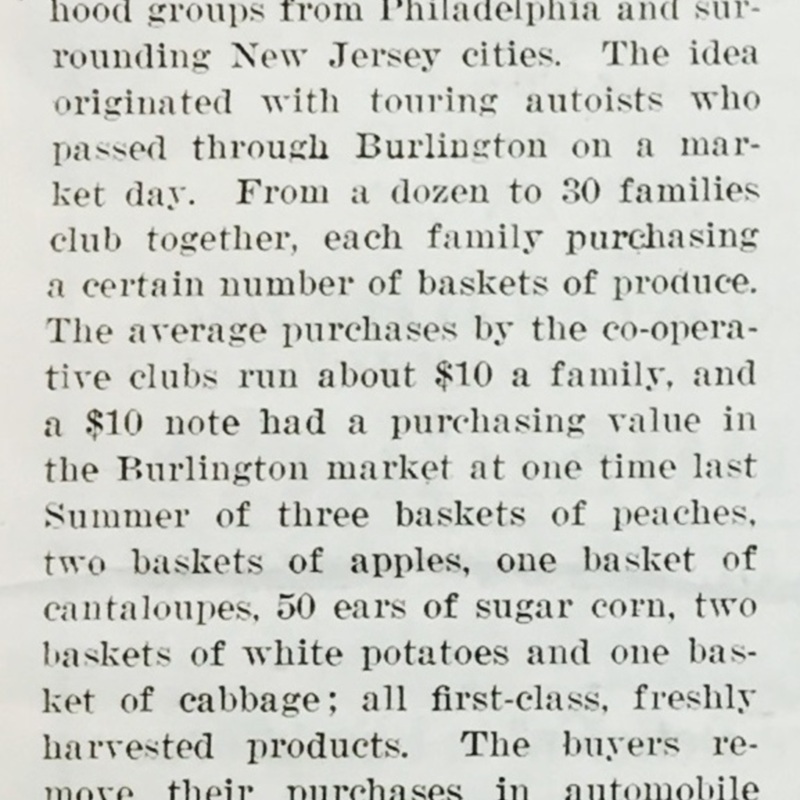 Here the farmers haul in their produce on Mondays, Wednesdays and Saturdays, and and sell direct to the consumers. 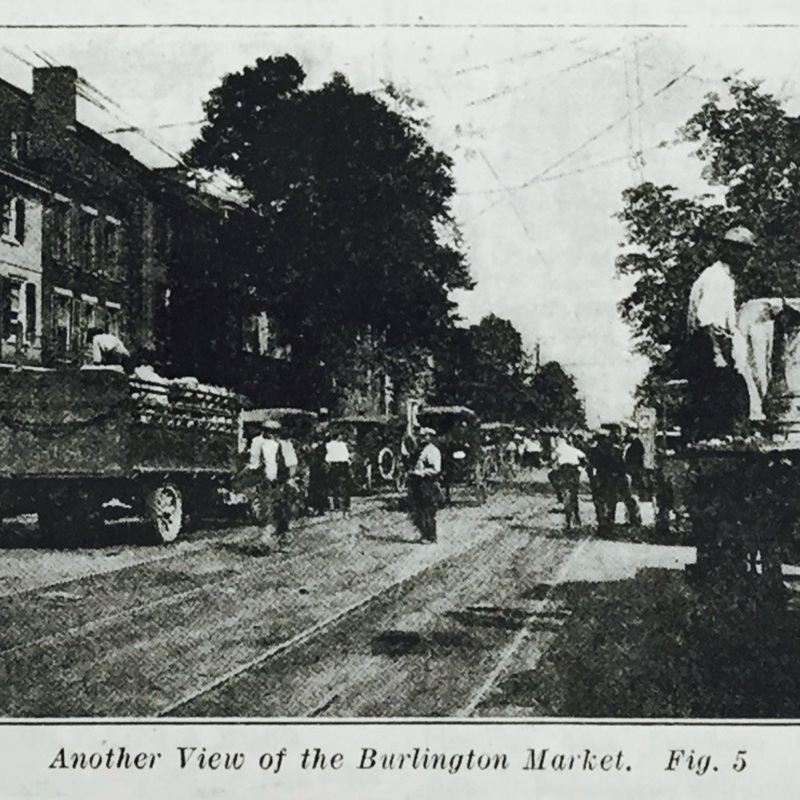 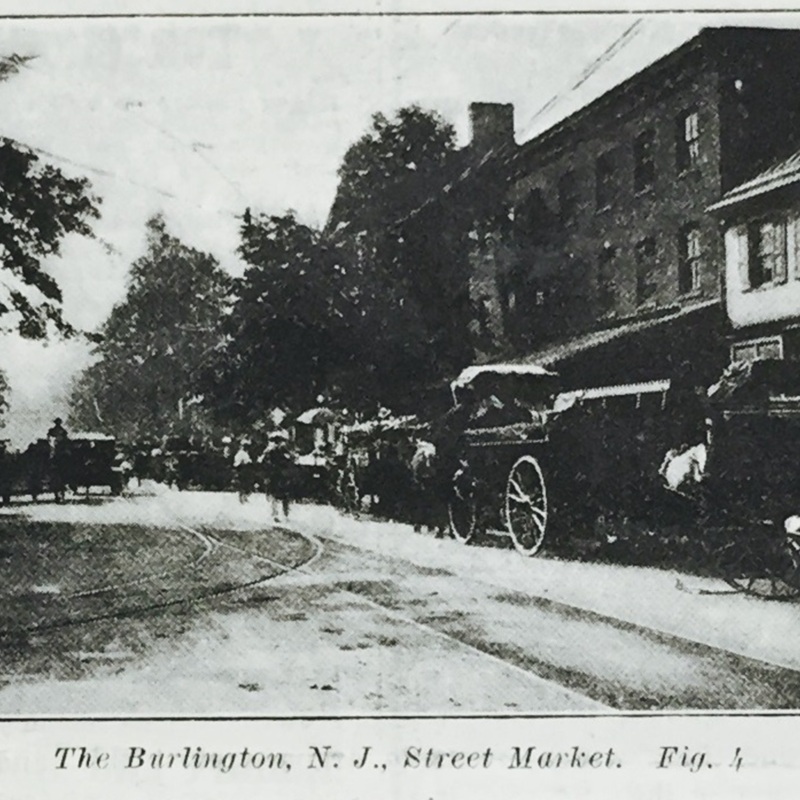 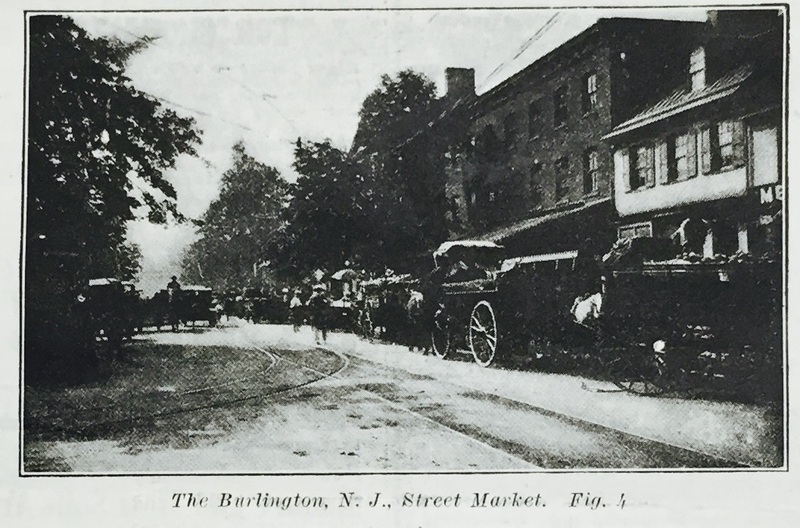 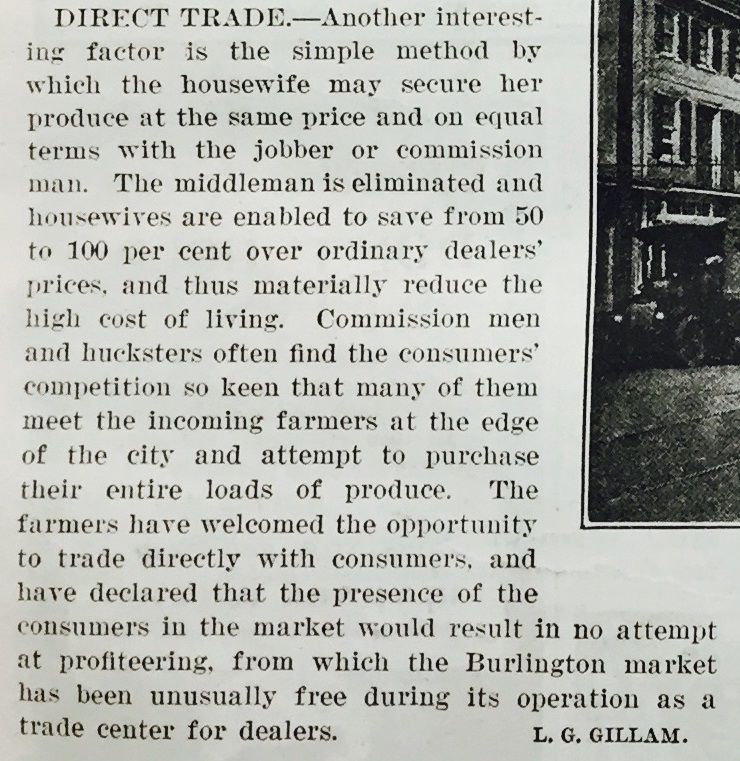 The farm wagons are lined along both sides of the main street for several blocks, often branching off into side thoroughfares, and the selling is done out of the wagons to the buyers on the curb. 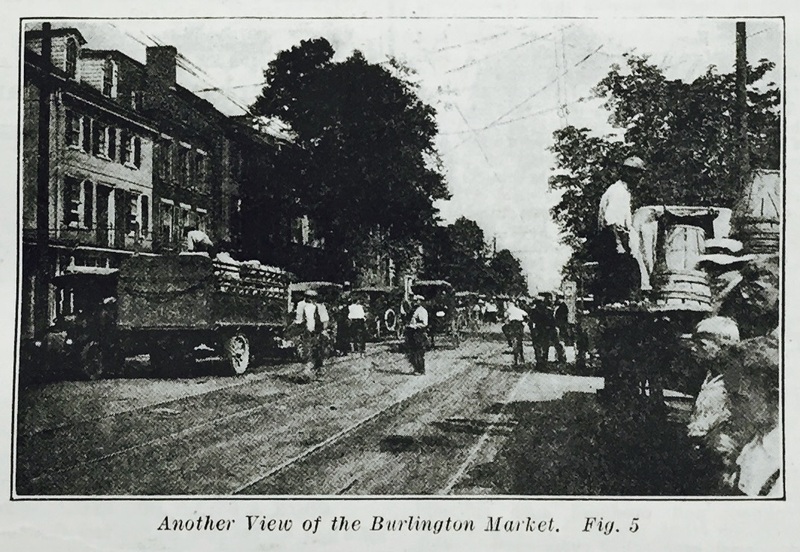 Two trolley lines run on the street used by the farmers, which together with the usual market traffic, necessitates the presence of traffic officers on this busy thoroughfare during the market sessions. 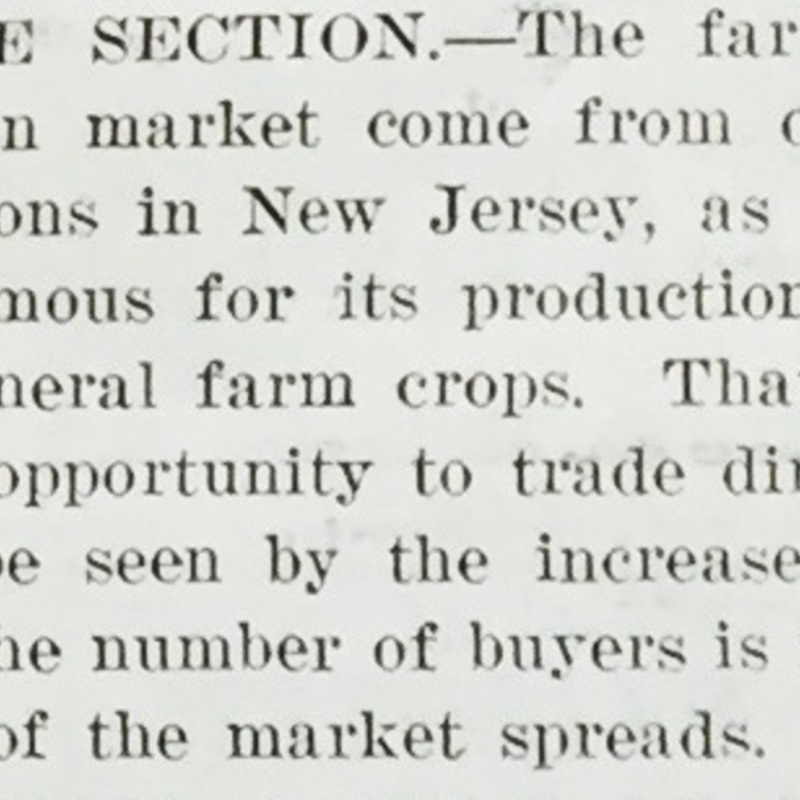 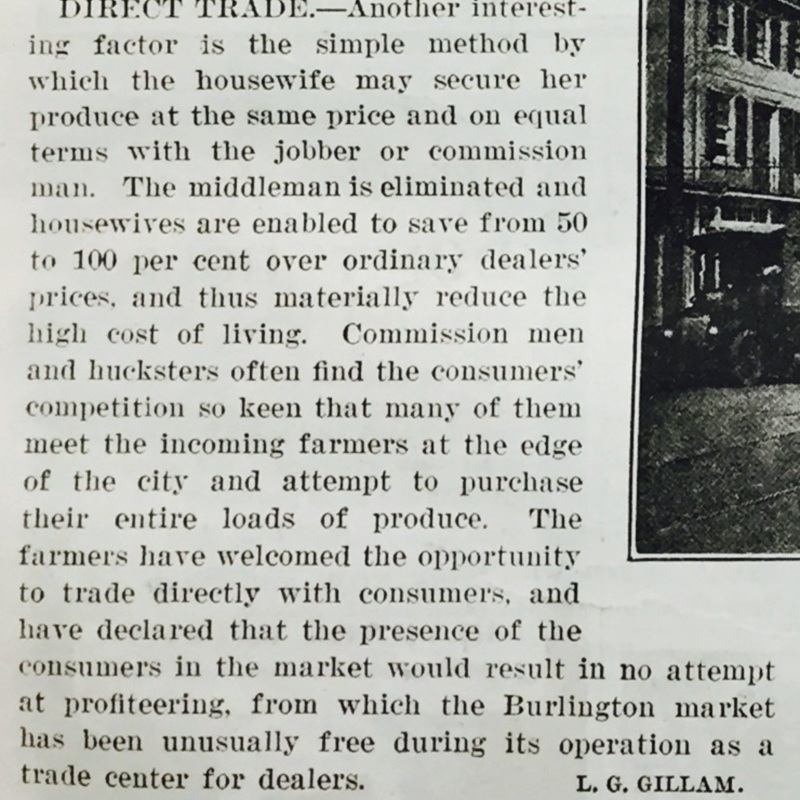 This market begins early in the morning and lasts until noon, at which time all of the farmers have readily disposed of their product.